So you see that we have still no access (maybe it’s coming up) to the “crawling” area. SO of cause that may be self-evident from Microsoft side. 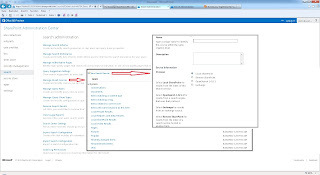 For me as a customer it would be nice if I can crawl my Extranet or data which will be bound in via BCS. 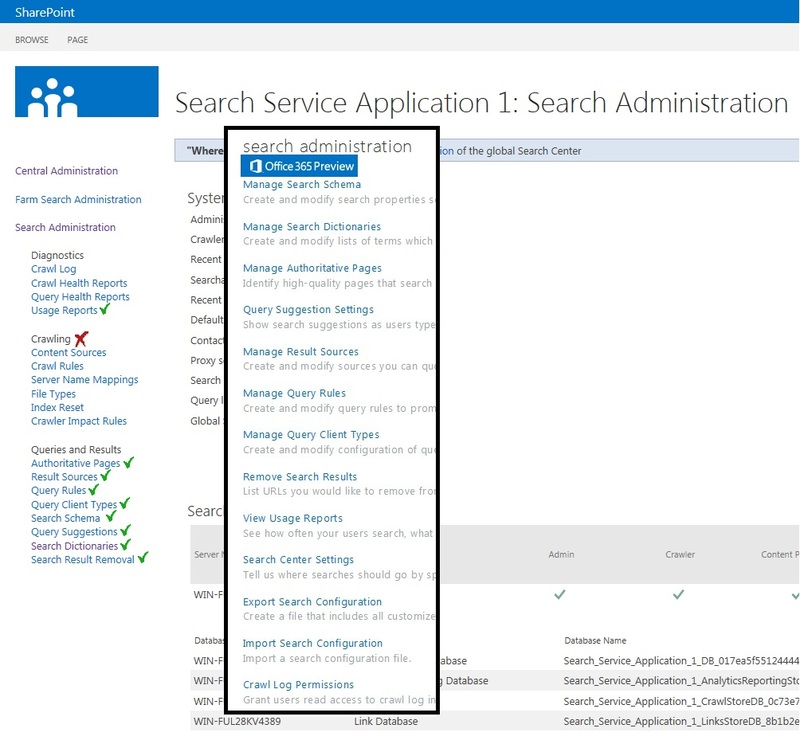 Integrating external Data in Office 365 / SharePoint Online Search can of cause be managed with the options coming with “Manage Result Sources”. 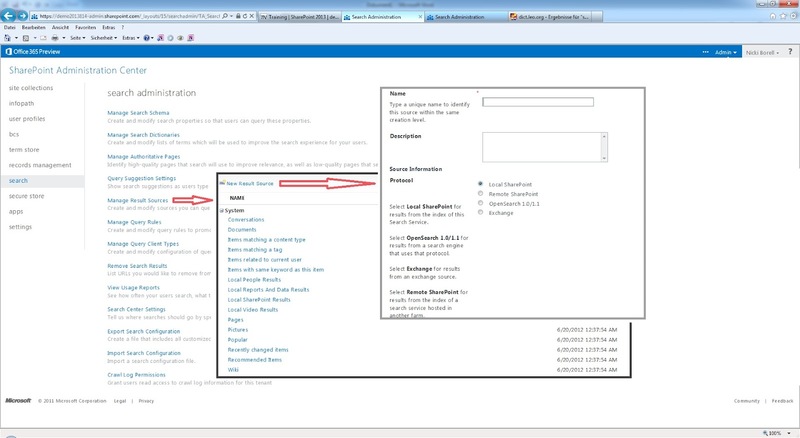 As you can see we can connect “Remote SharePoint” which means an Index of an on-premise SharePoint 2013 installation or data coming from an Open Search source. So with all this functions like “Manage Schemas”, “Search Dictionaries”, “Query Rules” and “Result Sources” we are able to build much more powerful Search Solution even Search Driven Applications also with Office 365 / SharePoint Online 2013.